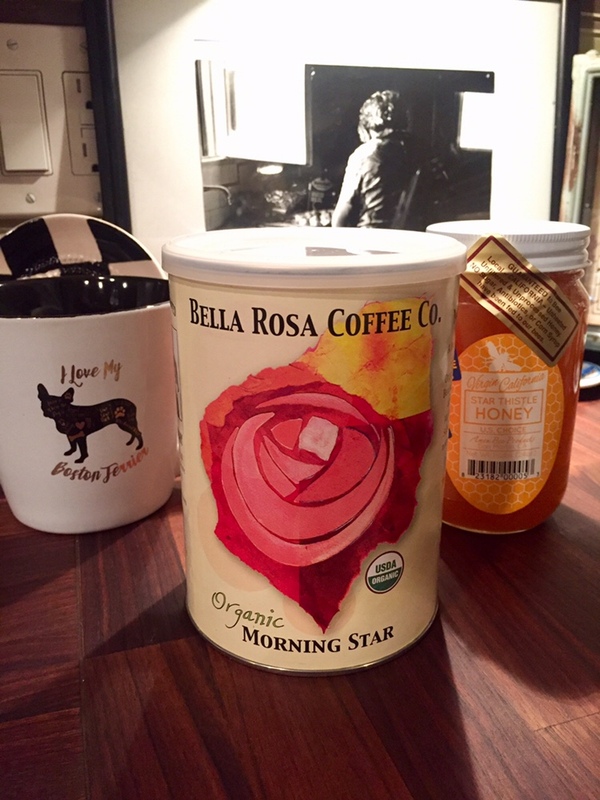 Friends recently introduced us to a local Santa Rosa organic coffee company called Bella Rosa, and we became hooked after the first sip. Bella Rosa specially roasts their beans to be low acid, so they’re incredibly smooth. Mama and I have tried both the Decaf and Morning Star varieties, and we found them significantly easier to digest than any other coffee. I picked up a fresh can of beans while grocery shopping today, and I could hardly wait to get home and have a cup. We added a spoonful of Star Thistle Honey and Unsweetened Vanilla Almond Milk, and it was perfect — and today’s #OneGoodThing! Day 103 of 365. And Day 834 in a row (here’s the first 366 & the following 365)!